Apple’s iPhone 4S may be made out of some very elegant glass and metal but according to the latest tear-down report, the iPhone 4S costs Apple just $196 to produce. This costs Apple just $0.49 more than the iPhone 4 to make, despite the iPhone 4S’ dual-core A5 CPU, an 8 megapixel camera, and a CDMA/GSM chip. 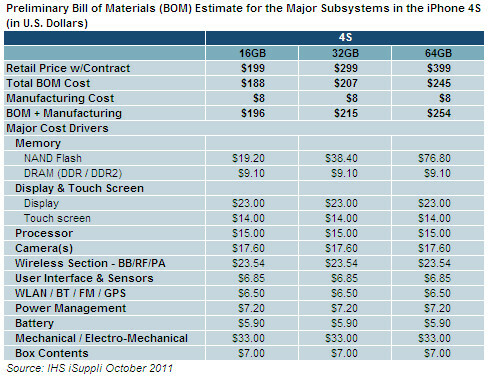 According to IHS iSuppli’s numbers, the 16GB iPhone 4S costs just $196 to manufacture, the 32GB runs at $215, and the 64GB at $254. That’s a considerable mark-up considering the off-contract prices charged. The estimates account only for hardware costs and do not include other expenses such as software, licensing, royalties or other expenditures, IHS iSuppli said. This would explain why the new features on the inside of the device make no difference in the pricing. 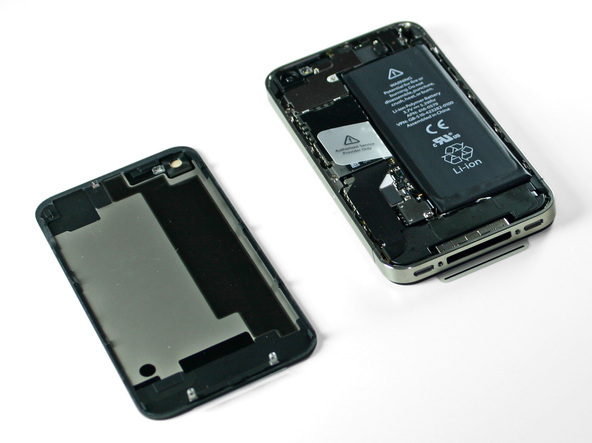 The teardown also revealed some interesting new components inside the iPhone 4S, not in its predecessor. One of the components was the redesigned cellular network antenna that IHS calls “unique” in its ability to support all carrier partner network technologies, when compared to the approach taken by most of Apple’s competitors. What makes the converged Avago part unique is its capability to support both 2G and 3G cellular technologies across multiple bands thus reducing the number of components and PC board footprint required. While Avago is by no means the only company supplying these types of devices, it is the first to be implemented by Apple.